A soft and smooth blended Irish whiskey, great for mixing or serving with ice. 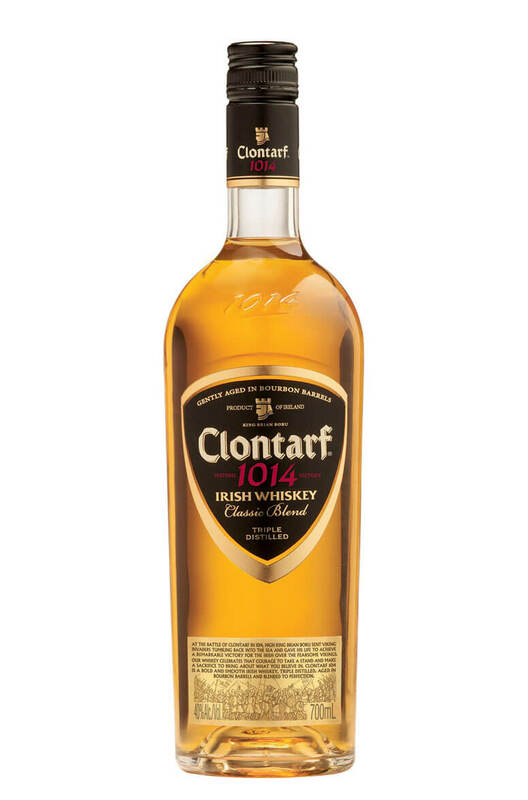 Clontarf Classic Blend used to be known as Clontarf Black Label and was a Single Grain Whiskey. Nowdays its a blended whiskey from a distillery in Cork and aged only in bourbon casks. Nose Light and refreshing, honeyed, toasted oak wood, vanilla, pleasing background maltiness. Palate Mellow and smooth, sweetish/toffee notes, really nice oaky vanilla and malty flavours, a delicate complexity. Serving Suggestion This mild refreshing blend, with its vanilla/oaky notes and attractive sweetness, is eminently suited for drinking ‘on the rocks’ - poured neat over chunks of ice in a tall glass. Or simply as an anytime drink, neat or with a dash of water or favourite mixer.